What Do We Know About Southern Africa? The concept of region is very important in geography. Region (along with location, place, human-environmental relations, movement, and human systems) is one of the five central geographic themes and 18 national standards for geography. Regions as spatial units vary greatly in size from micro-regions such as regions of cities to continents (regions of the world). Regardless of size regions share the same space. Geographers often refer to regions as being uniform. That is, regions often share a distinct and readily identifiable set of shared characteristics such as physical (topography—mountains, plateau, lake, river, coastal, climate, vegetation), or cultural factors (common language or religion) social characteristics (common ethnicity, race, population density) political factors (similar type of government) economic characteristics (similar ways of production, type of production—agriculture, industry, mining) or a common history. These shared characteristics help make a given geographic area or location a region. All of the characteristics listed in the last paragraph are subject to change. For example, changes in the environment may result in a significant change in the climate or vegetation of a region, resulting in a significant change in the physical character of the region. Similarly, migration of new peoples into a region may result is a significant change in the social and cultural composition of the region. Consequently, it is important to remember that regions are dynamic and undergo continuous change, sometimes resulting in dramatic spatial change in the shape and size of a region—and occasionally in the demise of a region when it has changed so much as that it no longer can be considered a region. 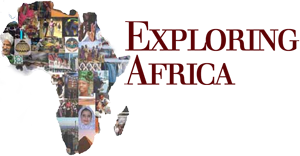 Historically, there have been a number of ways in which Africa has been regionalized in the academic disciplines, by international organizations, and by foreign governmental agencies. In the post-colonial era many international organizations, foreign governments and textbooks divided Africa into two major regions: North Africa (“Arab Africa”) and Sub-Saharan Africa (“Black Africa”). The reasons for this division of Africa into two regions were political and cultural. Many outsiders perceived sub-Saharan Africa as being socially and culturally very different from north Africa. According to this classification, sub-Saharan Africa is comprised of traditional African cultures and societies and by the “black race.” North Africa, on the other hand, it was argued, is dominated by the Arab culture, language, and “non-black” peoples, who “racially,” culturally and socially are not African, having their roots in western Asia (Middle East). This regional classification resulted in the common, but false, belief that north Africa, was not really Africa, other than that it is geographically located in the continent. Thanks to the efforts of a number of educators we now recognize that the division of Africa into these two regions is based on outdated and questionable ideas. 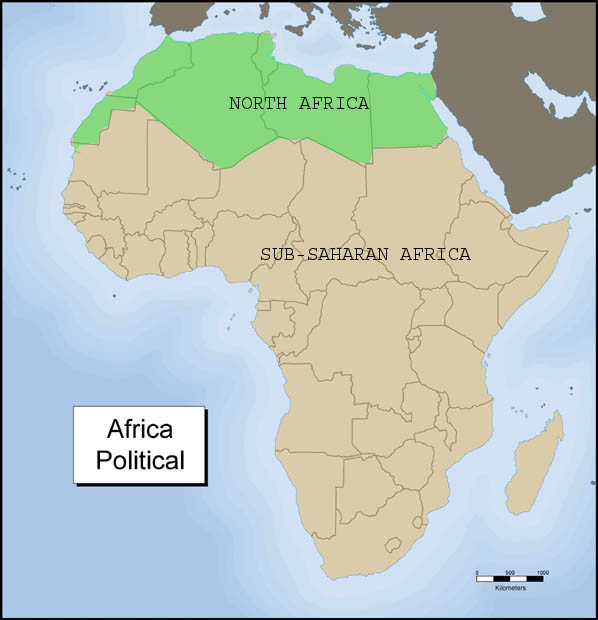 While it is true that north Africa has a shared Arab heritage which is distinguishes it from other regions in Africa, as you learned in Module Seven A: African History to 1500, there are many social, cultural, historical, as well as geographic characteristics which unite north Africa with the regions of south of the Sahara. These shared characteristics make a division between north and sub-Saharan Africa difficult to justify. 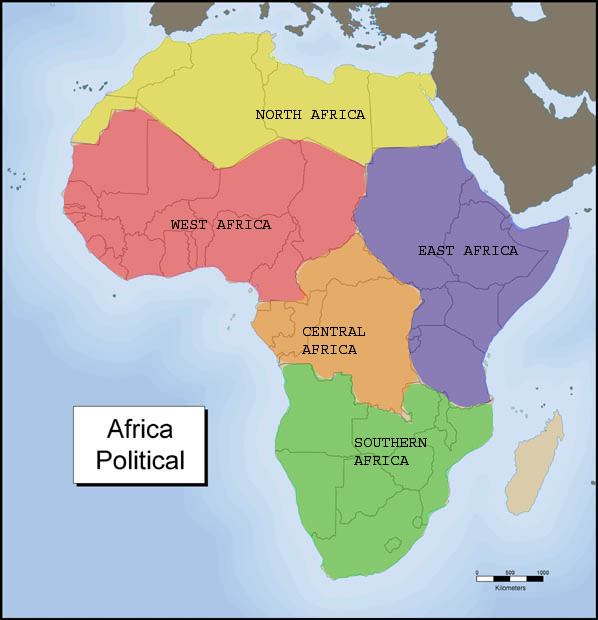 Following the work of a number of geographers and other social scientists we divide Africa into five regions—North Africa, West Africa, Central Africa, East Africa, Southern Africa. These photos were taken in South Africa about 20 years ago. 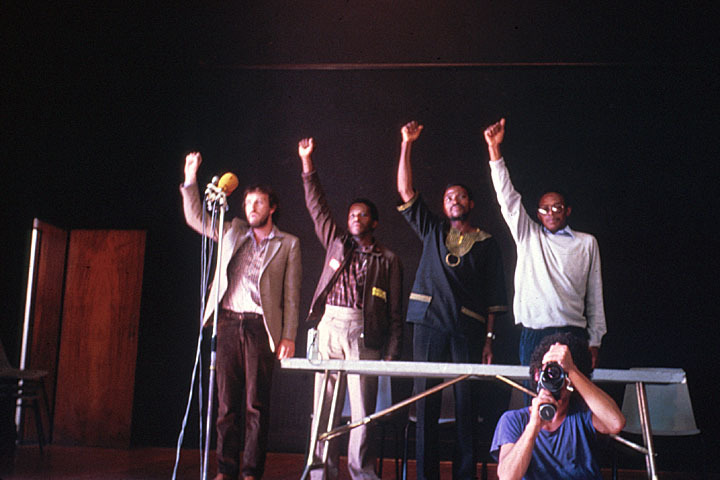 However, photos similar to these could have been taken elsewhere in the southern African region during the 1960s, 1970s, and 1980s when the people in the region were struggling for their political independence. 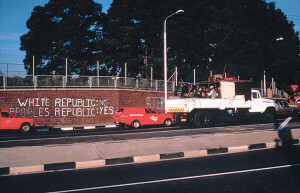 In South Africa the white control government instituted policies to guarantee European control of politics and the economy. 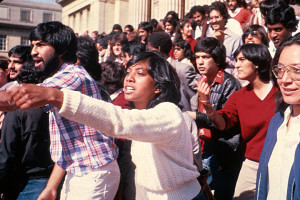 These policies established a system of complete separation of the races in South Africa. Do you remember what the over-all policy of racial segregation was called in South Africa? That is correct, Apartheid. 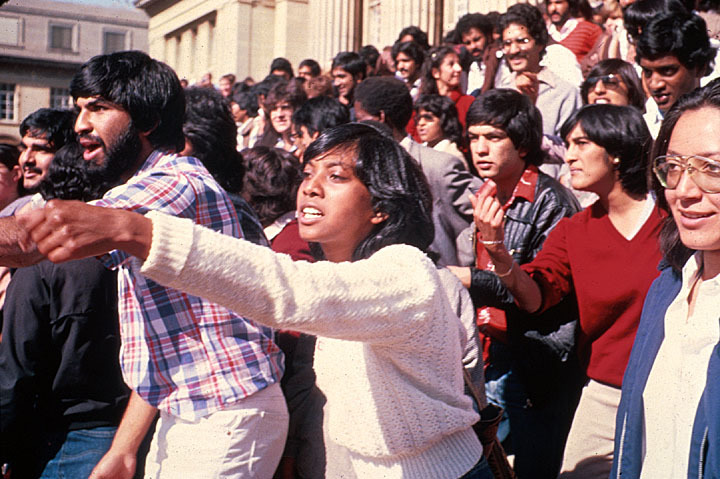 The extreme measures taken by the government to ensure the physical separation of the races are what many people in the U.S. and Europe knew about apartheid. Look at the first three photographs. Apartheid separated people in public places. 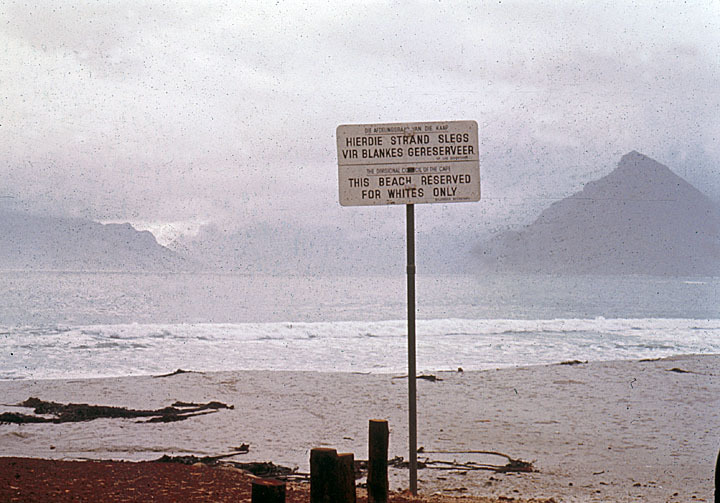 Blacks could not swim on the same beaches as whites; nor could they use the same telephones, same restrooms, or even sit on the same benches in public areas! As hurtful and discriminatory as these policies were they did not have the same devastating impact as the severe political, economic and social policies which removed all power from the African communities, impoverished tens of millions, and destroyed traditional social and family structures. Look carefully at Map Four that shows the years in which all African counties gained their political independence. Compare the years in which the countries of southern Africa gained their independence with the years in which the countries of the other regions of Africa (central, east, north, and west) gained their independence. Is there a difference? If you look at north Africa you will note that most countries in that region gained their independence in the 1950s. In west Africa, colonial rule ended in almost all countries by 1960. What about southern Africa? A few countries such as Malawi and Zambia gained their independence in 1964, but most of the countries in the region colonialism did not end until much later. Mozambique (1975), Angola (1975), Zimbabwe (1980), Namibia (1990), and South Africa, the largest country in the region did not gain its independence until 1994. 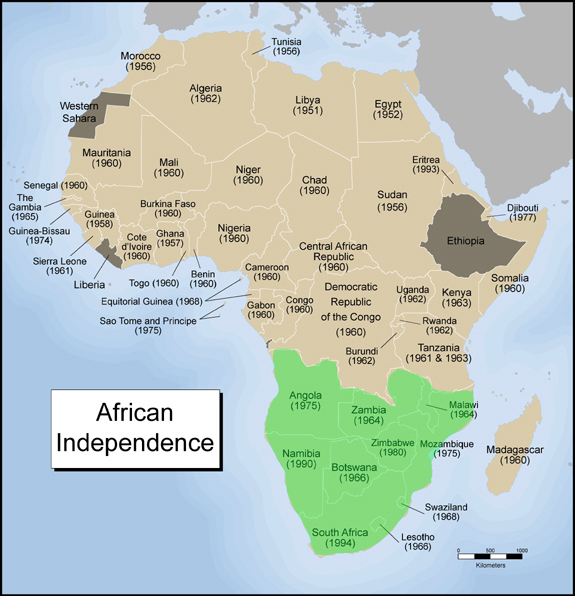 Why was it that the countries of southern Africa gained their independence so much later than the countries in other regions of Africa? You may know that answer to this question from reading about southern Africa in textbooks, in newspapers or from news reports. You may also remember discussing this issue in Module Seven B: African History 1500 – Present and in Module 10: African Politics. Not many people from Europe lived in most African colonies. There were, of course, colonial government officials, missionaries, and some business people. However, the situation was different in the southern African region. Most of the colonies in this region were settled by people from Europe. Unlike, colonial officials and missionaries, these settlers intended to stay in countries were they settled and claimed these colonies to be their homes. They were attracted to southern Africa because of the regions great agricultural potential and its great mineral wealth. However, the European settlers were not interested integrating with the indigenous African peoples who had lived in this region for millennia. The settlers realized that they would always be a minority in the colonies were they settled. This is different from the situation in North America and Australia, where as a result of massive immigration of settlers from Europe combined with repressive policies that resulted in the death and depopulation of the indigenous Native American and Aboriginal population the European settlers soon outnumbered the indigenous populations. 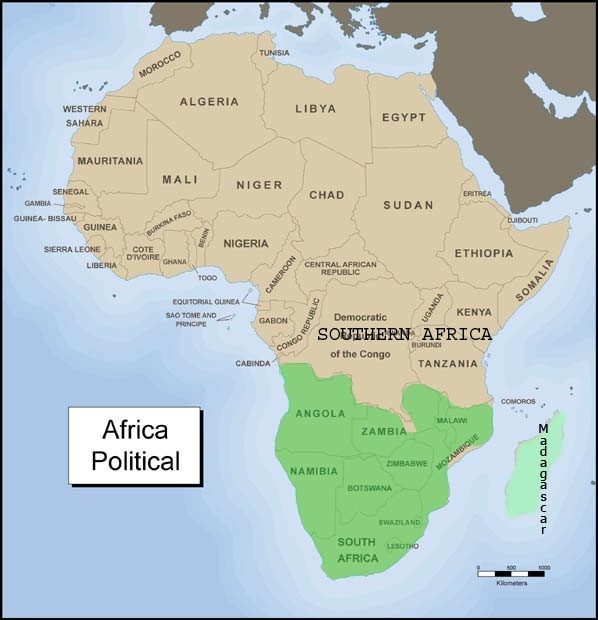 Since they did not have the advantage in population size the settlers in southern Africa needed to develop political and economic systems in the colonies that would guarantee political control and economic prosperity for themselves and their descendants. 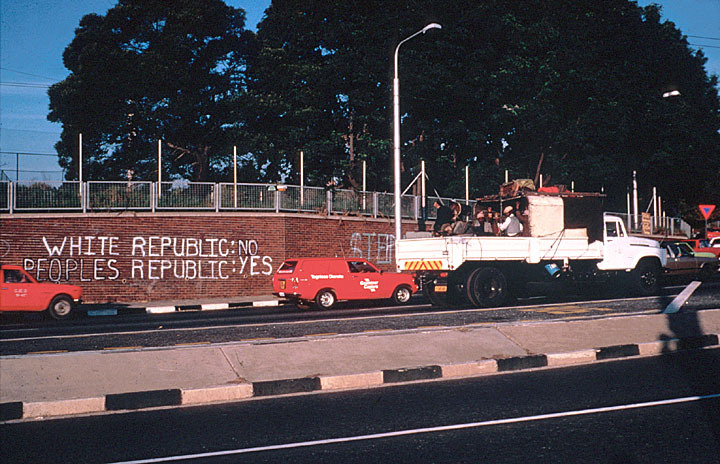 In most of the colonies in the southern African region the settler populations were able to gain control of the colonial political systems and instituted policies that ensured their monopoly of the political system. In the settler colonies Africans, although they greatly outnumbered the settlers, had no political rights. Once they had control of natural resources (mineral and agricultural) of southern Africa the settlers needed a ready supple of labor to work in mines and on large commercial farms. In the 18th and early 19th centuries the settler populations in South Africa, Angola, and Mozambique either captured or imported slaves to work on their farms. However, slavery was abolished by the British (colonial power in South Africa) in the 1830s and by Portugal in the 1880s. Consequently, for most of the 20th century the settlers had to resort to other methods to meet their labor needs. Throughout the region settler regimes instituted systems of taxation in order to obtain labor. You may remember from Module Nine: African Economies how this system worked. Colonial governments instituted tax laws that required all African families to pay a “head” or “house” tax. 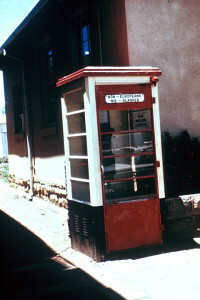 In the case of a “head” tax, each adult male was required to pay a set tax; in the case of the “house” tax, colonial governments placed a set tax on each house. The African populations were required to pay these taxes in the currency of the colonial power. How were they to get money to pay taxes? Since most African in the region were forced to live in over-crowed, infertile reservations, it was almost impossible for them to raise money through the sale of agricultural goods that they produced. What alternative did they have? They were forced to “sell” their labor by working in mines or on settler owned farms. While technically not slavery, this was forced labor based on a system of taxation without representation. How did colonial settlers in the thirteen north American British colonies respond to an imposition of taxation without political representation in the 18th century? They resisted! The same is true in southern Africa where in each of the settler colonies there were many forms of organized resistance to settler rule. You will learn more about racist policies and African resistance to these policies in the country case studies of South Africa and Zimbabwe in Unit Five. 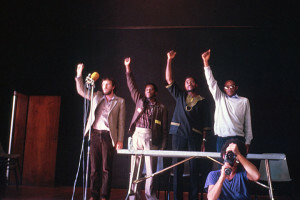 The photographs shown above represent resistance to apartheid in South Africa. You can also click here to learn more about resistance in Southern Africa, specifically Mozambique. There are eleven countries in southern Africa. Some of these countries were able to gain their political independence without having to undertake a liberation struggle such as the American War of Independence. Other countries in the regions had to resort to a liberation struggle in order to gain their independence. Using information that you can gain from a web-search fill in the cells of the attached table.